Hey babes, meeting you after a long time. 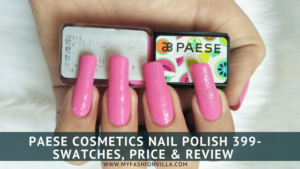 Hope you love mine all last review. 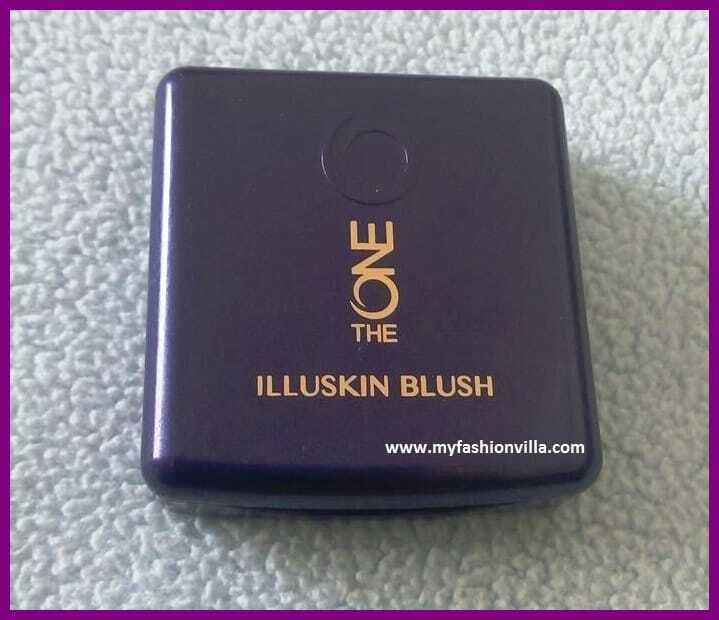 This time I’m going to review “Oriflame The One Illuskin Blush”, the main thing I love about this product it is the combination of blush as well as a highlighter. I really love the way they have made it. Usually, makeup takes time, but when I started using this blush, it became my favorite thing for quick everyday makeup. Read my detail review below. 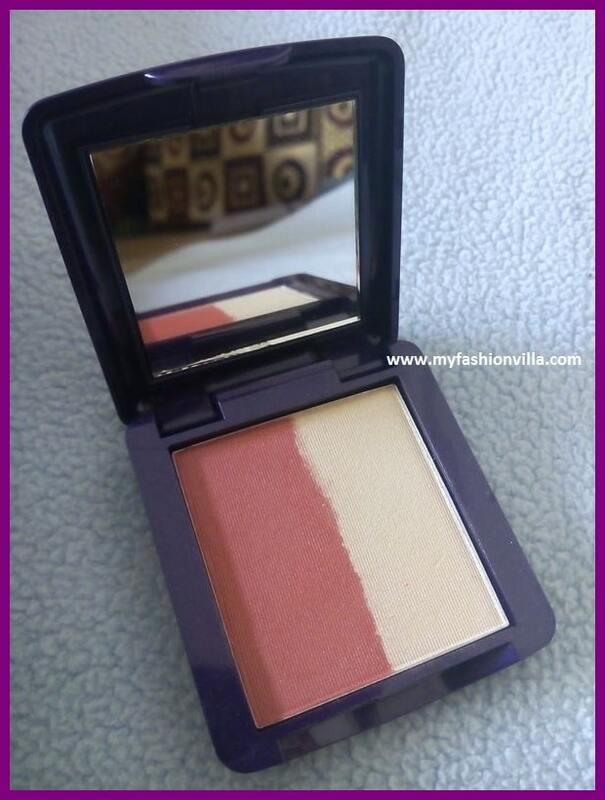 The Oriflame ONE Blushes available in a simple purple box accompanied by a mirror. 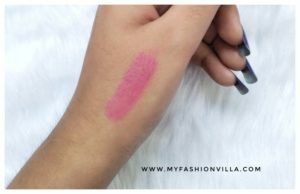 It comprises of 2 strips with one blush as well as with a highlighter. However, I am comfortable using my fingers to apply blush and highlighter. I have applied blushes in the hollows of my cheeks, as I’m having round as well as chubby cheeks. Believe me, the result was amazing. 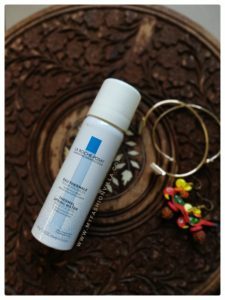 It gives enduring feel and doesn’t become light until I want to take it off from my face. Frankly telling, I’m not having any regrets after using this blush with highlighter combo. TALC, MICA, DIMETHICONE, OCTYLDODECYL STEAROYL STEARATE, ZEA MAYS STARCH, ZINC STEARATE, SILICA, TITANIUM DIOXIDE, PENTAERYTHRITYL TETRAISOSTEARATE, PHENOXYETHANOL, CAPRYLYL GLYCOL, SORBIC ACID, HDI/TRIMETHYLOL HEXYLLACTONE CROSSPOLYMER, NYLON-12, TIN OXIDE, ARGANIA SPINOSA KERNEL OIL, LAUROYL LYSINE, GLYCERIN, DIISOSTEARYL MALATE, DISODIUM EDTA, AQUA, BUTYLENE GLYCOL, CARBOMER, SODIUM LACTATE, POLYSORBATE 20, PALMITOYL OLIGOPEPTIDE, PALMITOYL TETRAPEPTIDE-7, CI 77891, CI 45380, CI 77491, CI 15850, CI 77007, CI 77499, CI 77492. Rs. 599/-. 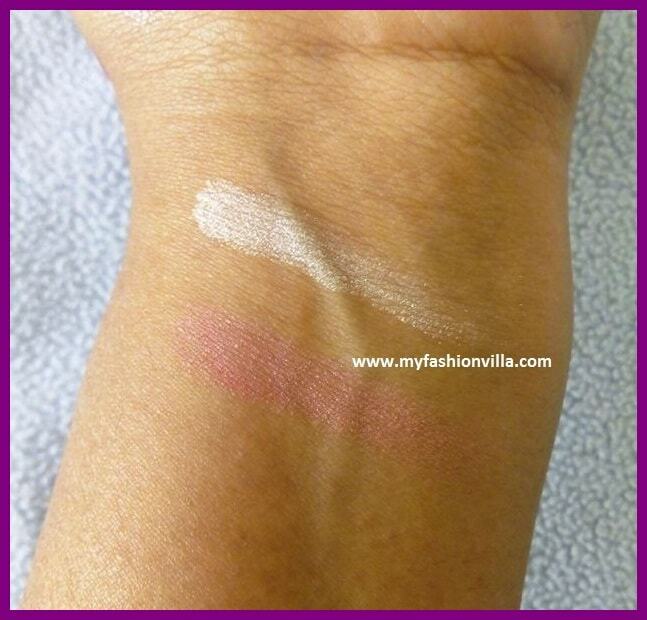 You can easily get your illuskin blush from any Oriflame consultant. 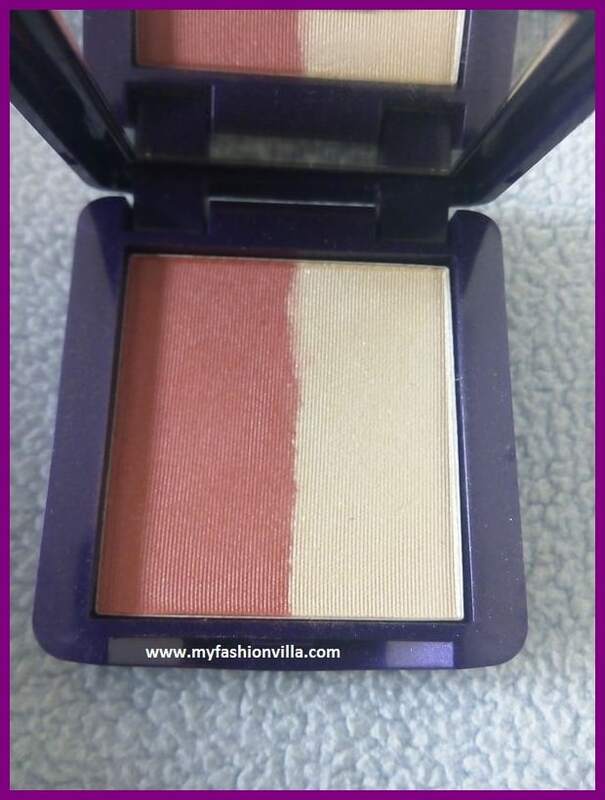 Illuskin blush is usually available in cute and tiny purple box that is very handy to carry during travelling. I would really like to say, that I got the perfect combo of blush as well as a highlighter in my makeup kit. The result, I got after using it was also amazing. The one main thing I would like to add over here is it gives awesome effect, if I use it alone devoid of any makeup kit. It is like “on-the-go” thing for me. I just apply moisturizer, a little mascara, blush and lipstick and I am ready to go. It is best to use when I have to leave for some urgent meeting or some unplanned party. Even, I always use to carry with me while travelling. As it provides me a helping hand to look fabbb.. in front of everyone. Also, if you are not much in to eye makeup, you can highlight your eyes and brows-area while applying it below your brows at the outer end. You can get your Illuskin blush from any Oriflame consultants easily. The texture of the blush is very smooth. Blush is accompanied with a highlighter which really gives amazing look to your cheeks. In a nutshell, Oriflame The ONE Illuskin Blushes available as a combo of blush as well as highlighter. These types of powder blushes are coarsely milled amazingly pigmented and also have good wear time. 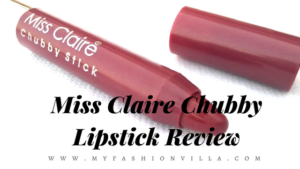 I adore the shades in the range which will cajole a surplus of skin tones and I only desire that the price could be a bit more reasonable priced though you can always get Oriflame products for good offers. The Review is By Aishwarya Goswami, our Lovely and always smiling Author.